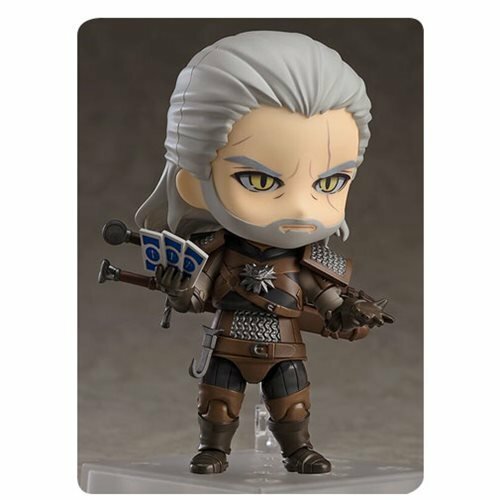 Geralt of Rivia is joining the Nendoroids! 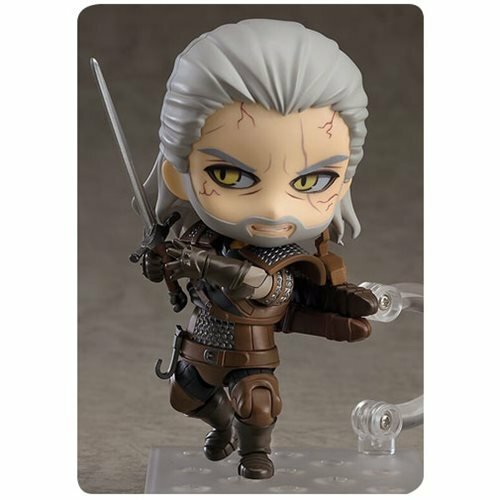 From the globally acclaimed open world RPG The Witcher 3: Wild Hunt comes a Nendoroid of the White Wolf, Geralt of Rivia! 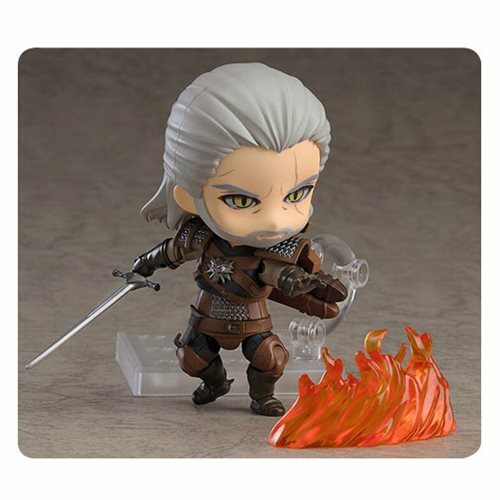 The Nendoroid is fully articulated allowing you to easily pose him in combat scenes, and he comes with both his steel and silver swords which can both be equipped to suit the situation! 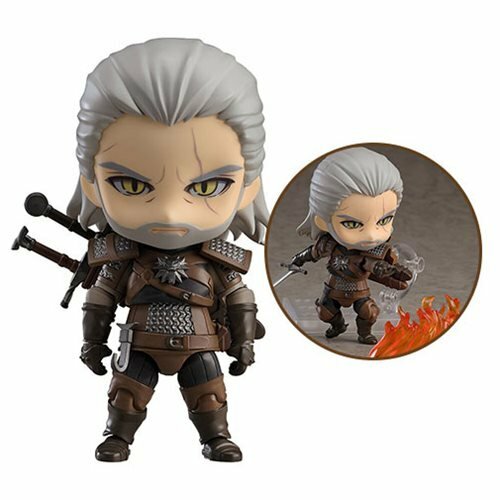 A hand of Gwent cards is also included to display him enjoying a round of the mini-game from the series! Along with his standard serious face plate, he also comes with an interchangeable face plate that captures the veins along his face when he overdoses on decoctions and potions! 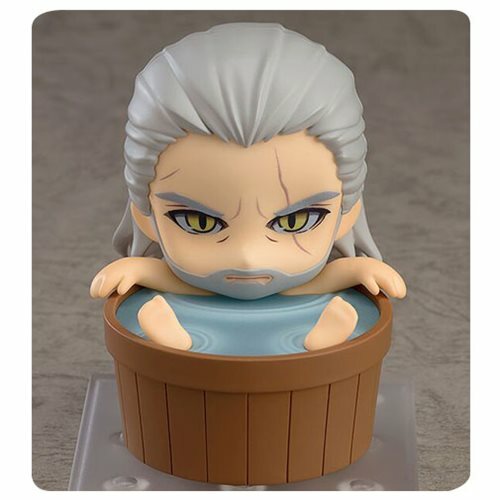 In addition, the iconic bathing scene at the start of the game can also be recreated with the included bath parts! 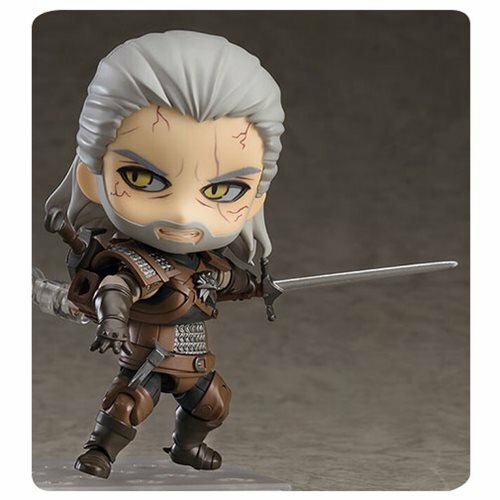 The Witcher 3: Wild Hunt Geralt Nendoroid Action Figure stands roughly 4-inches tall. Ages 15 and up.